We are dedicated to the development of our athletes. Blitz has developed a unique style of kickboxing that incorporates the movements of sport karate, the hand combinations of boxing, the elbows and knees of the Thai fighter, the grappling of a wrestler, and the locks of a Jiu Jitsu practitioner. 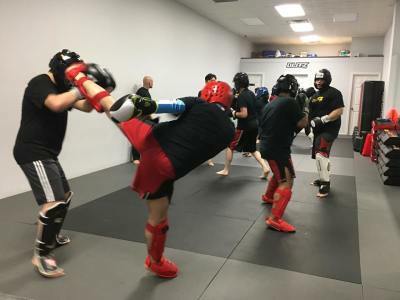 Our Kickboxing / MMA program is the perfect way to lose weight, build muscle, gain flexibility, and master self-defense. Our class is a safe and fun environment where everyone is welcome and treated with respect. 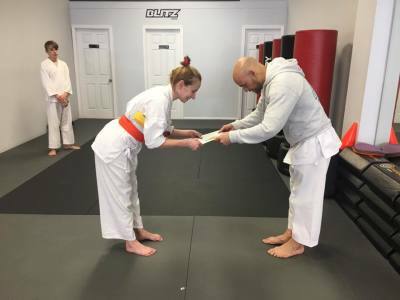 Focusing on the traditions of Shotokan, our karate program incorporates blocks, punches, and kicks as tools to strengthen one's body and help develop a tranquil mind. From a sport perspective, our karate program also develops athletes by teaching an elite level of point-sparring, weapons and forms which are used in world-class competitions. BJJ is a martial art that teaches a smaller person how to defend themself against a larger adversary by using leverage and proper technique. At Blitz, we teach you how to gain superior positioning so that you can apply chokes, locks, holds, and joint manipulation techniques on an opponent or attacker. BJJ is also an excellent way to work on flexibility, endurance and learning one's own body. 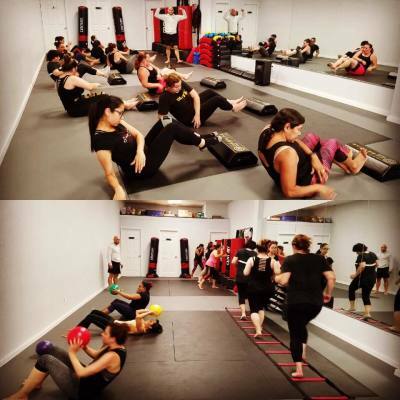 A cardio kickboxing and workout class that's fun, energetic and stress free. Join us for guaranteed weight loss and muscle toning as we blitz our way to music's top hits! If you are not into a cardio-intensive workout plan, Pilates may be the answer for you. Pilates' main goal is to build core strength. Other benefits of Pilates include: increased flexibility, increased body toning, body alignment, and improved posture.